We have been operating our title pawn business on Buena Vista Rd for 12 years. Cashwells Title Pawn has been in business for over 12 years and offers title pawn loans to fit every individual’s personal needs. We offer competitive prices with an easy application and complete loan process. Our employees at Buena Vista Road are trained to find solutions to fit your needs while making this process simple and quick; we can get you in and out within 20 minutes. Our stores are beautifully decorated to make you feel at ease in your time of need. We are here to help you and strive to provide the best customer service and friendly atmosphere available in this area. We are located at 4805 Buena Vista Road, Suite D. across the street from Walgreens and in between Krystal’s and Papa John’s Pizza. 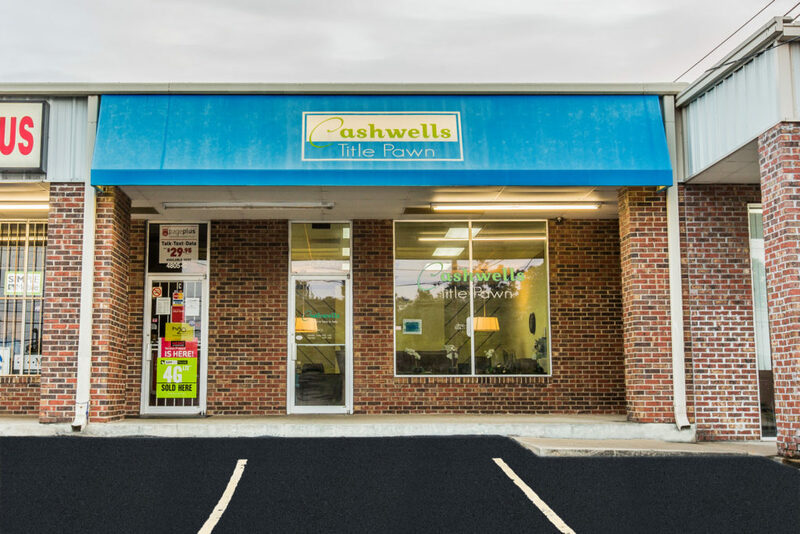 Cashwells Title Pawn has been at this location since 2004 and has three locations to serve you in the Columbus and Phenix City area. Yes, we do take Alabama titles within the Phenix City, Russell, and Lee County areas. If you are coming south on Interstate 185, you will make a left off the highway and we are approximately one mile up on your left. If you are coming north on Interstate 185 from the Fort Benning Army Base, you will make a right on Buena Vista Road off the highway. We will be approximately one mile up on your left. We strive to provide you with fast, friendly service. We offer complimentary flavored coffee, bottled water, and candy for your refreshment. If you are in need, please call Cashwells Title Pawn and we will be glad to answer all your title pawn questions or just stop by and we can give you an estimate in just a few short minutes. When other companies say no, Cashwells Title Pawn says YES because at Cashwells Title Pawn we are here to help!